There are a number of reasons to join Jim’s TradeNet. We’ll cover many of these in other posts but briefly, they include improved cash flow, the ability to move excess stock and the ability to grow your business with an interest-free loan. Today we wanted to talk to you about expanded marketing opportunities available to you as a result of your membership of Jim’s TradeNet. There are three major reasons that you should seriously consider Jim’s TradeNet as an important part of your Marketing Campaigns. I go into them below. 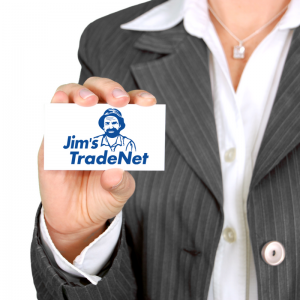 Gain Access to a new network of customers – If you are a member of Jim’s TradeNet you get access to the Jim’s TradeNet database of members. You get access to thousands of members across Australia and you get access to the Jim’s TradeNet team who work hard to foster relationships between members and encourage businesses to work together. Jim’s TradeNet runs a number of networking events where you can meet with other members. You can also connect online or ask the staff in the office for an introduction. Further potential for cash clients – Being a member of Jim’s TradeNet gives you access to Jim’s TradeNet members. Further, if you provide quality work to Jim’s TradeNet members you can potentially get access to their networks. If you provide great products and service to Jim’s TradeNet members there are opportunities to get access to their networks. You can get referrals to their clients. Many of these people will not be Jim’s TradeNet members so they will be cash paying clients. Access to products and services for parts of your marketing campaign – Marketing costs money. You may need supplies to implement your marketing campaign. These can be consulting services with Marketing Experts. You can also engage Jim’s TradeNet members who are printers, paying for any printing requirements with Trade Dollars.